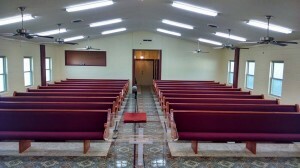 “Corpus Christi” means “the body of Christ,” so there was a special layer of meaning to the new pews we built and installed for Emmanual Iglesia Bautista in Corpus Christi, Texas. Corpus Christi got its name because it the first European visitors, Alonso Alvarez de Pineda and his companions, arrived here on the Feast of Corpus Christi in 1519. At the time, the spot was a winter home for Native Americans. In 1838, Colonel Henry Lawrence Kinney built a trading post here. The area was generally known as the “Old Indian Trading Grounds” and the land that is now Corpus Christi changed ownership frequently during the early 1800s. Sometimes it belonged to Mexico, sometimes to the Republic of Texas, briefly to the Republic of Rio Grande, and finally in 1847 it became the town of Corpus Christi in the United States. The city was incorporated in 1852 and — after changing hands again during the Civil War — a city charter was adopted in 1876. Since then, many people have come to Corpus Christi — for Spring Break, for a beach vacation, to winter in a mild climate, because they were stationed here or went to college here, or to live in this beautiful coastal town. Corpus Christi was selected as an All-American Town in 2003, and it’s no wonder! You’ll find a rich, diverse culture here, beautiful architecture, amazing scenery, sports, arts, and the second most popular tourist destination in Texas. Emmanuel Iglesia Bautista is a beautiful church! The tiled floor is stunning. We brought beautiful new pews to complement the fine church building. As you can see from the photo below, the church combines old and new elements very successfully. 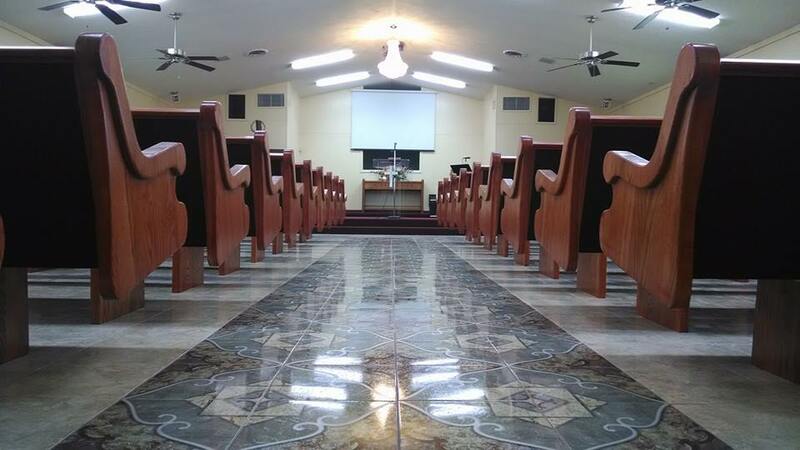 We’re delighted to have been able to serve the people of Emmanuel Iglesia Bautista. We’d like to serve you, too. 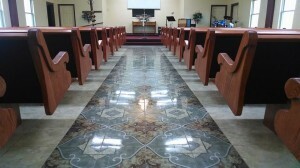 If it’s time you got some handsome new church pews, ask us for a free quote today!